A home inspection is generally associated with a real estate transaction. It is a limited, non-invasive, and visual survey of the condition of a home. A home inspection should be conducted by an inspector who has received the training and certification to properly perform an inspection. A report produced by the home inspector should detail the specifics of what is found. The inspector will report on what he can see. And, because of his training and experience, the details the inspector can see will reveal information an untrained eye cannot. Subtle discoloration of surfaces, cracks and residue on concrete, the appearance of shingles, and other subtitle clues may have meaning beyond the surface to a well trained and experienced inspector. Do We Really Need a Home Inspection? Because of their complexity every home has imperfections. Even a brand new one, constructed by the best of tradesmen. As a structure ages things wear out and damage occurs. Improperly completed remodeling or repairs may be hiding out of sight . Before making the investment both new and old structures should always have a thorough inspection by an experienced, trained, and certified inspector. A seller may wisely choose to have an inspection prior to listing the home. The information from the inspection will help the seller better understand the value of their home. It will help avoid costly last minute repairs and surprises at the closing. Corrections made based on the inspection will make the home more attractive to the buyer. For the buyer a comprehensive inspection will pull back the curtain on many of the 'unknowns' in a home. The inspection provides the information that will assist a buyer in making an informed decision about their investment, and help them avoid the regret of realizing they made a mistake. The problems found by the inspector need not 'kill' the deal. Most issues can be easily corrected, or may be used to negotiate a modification to the transaction that will insure corrections are made. But, without a good inspection a buyer is more likely end up with unexpected, and un-planed for, expenses. 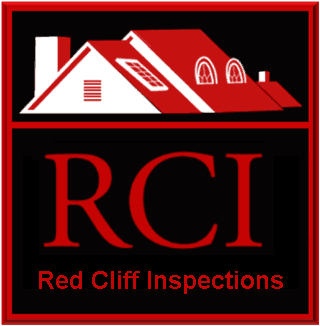 A home inspection is valuable in that it is intended to identify the components in a home that are not in good repair and need attention, and the systems in a home that are not functioning properly. This information is valuable to both buyers and sellers. The inspector does not disassemble machinery or open walls. They do not turn on equipment that has had power removed. But, they do operate and evaluate installed systems and equipment such as the heating and cooling systems. "I can get my brother-in-law to inspect the pace for me. He worked construction back when we were in college!" Unless the brother-in-law is a trained and certified, and has experience in the inspection process, this might not be a good idea. While construction and other related experience are helpful, they are not equal to the broad field of knowledge required, and the methodical approach necessary, to properly complete a home inspection. When choosing an inspector one should find an experienced and certified inspector. And, not all inspections are the same. For example, inspectors who routinely include services such as Infrared Imaging provided an exponentially greater value to their clients. The employment of infrared technology in an inspection allows the inspector to find moisture leaks, failing electrical components, inadequate insulation or air leakage, and other faults that are invisible to the human eye. There is an unavoidable natural principle that, 'over time everything tends to move from order to chaos', and from stability to upheaval. Even in a home that receives proper attention, maintenance, and care the process can be slowed, but not avoided. A home inspection will not guarantee the future condition of a home, or the continued perfect performance of its systems and components. The competent inspector will never make such a claim, and a wise buyer should never expect it. Because, a home inspector does not have a "crystal ball" and is not trained in predicting the future. A home inspector does not have x-ray vision and is not able to peer into the walls and mechanical systems to find faults. But, the inspector should carefully and methodically survey the whole home and report on the conditions as they are at the time of the inspection.